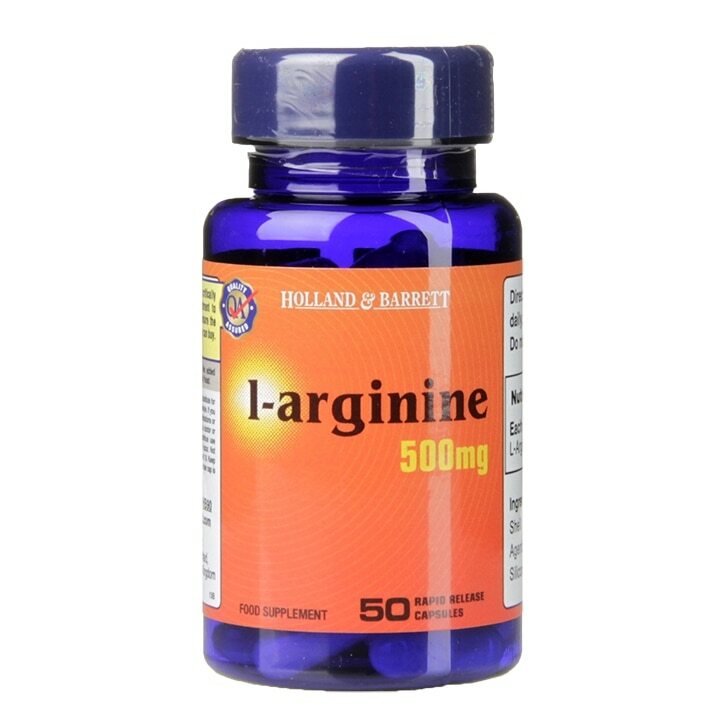 Holland & Barrett L-Arginine is a non-essential amino acid which means it can be produced by the body as well as obtained through the diet. Foods such as soya, chicken and beef are good sources of Arginine. In some individuals the quantity of arginine needed can be greater than the amount that can be produced by the body or consumed in the diet. This is where an L-Arginine supplement may be needed. Amino acids are the building blocks of protein. Protein makes up the structure of all cells and tissues in the body, including muscle tissue, tendons, internal organs, skin, hair and nails. There are 20 amino acids, 12 of these can be made by the body and are referred to as non-essential, whilst the other 8 are known as essential and can only be supplied by the diet. You must be 18 years or older to purchase this product. Holland & Barrett L-Arginine Capsules 500mg is rated 4.0 out of 5 by 40. Rated 5 out of 5 by Sweden102x from Great Product Very pleased with my purchase.Have used this product on and off for years.Would highly recommend.